As you might know, Mom is a Glee addict. In fact, it was thanks to you that I discovered it. About six months ago, you woke up at around 1am and had no interest in going back to sleep. Nothing would interest you in your cot – not a bottle, musical toy or your fluffly lions. So I shlepped you to the guest room, we lay in the bed and I flicked through PVR Demand which is where I stumbled upon Glee. I fell in love, and you were mesmerised. Eventually you decided it was boring and fell asleep, but I wanted more, and I came to think it’s one of the most entertaining and genius shows I’ve ever seen. Last week in fact I used up all our bandwidth at home trying to download three episodes of Glee (7.5MG worth), and I’ve used up all my iTunes vouchers buying songs. Dad’s friend at work has uncapped ADSL at work so has downloaded all season two episodes, which we’ve seen already. THis is good news a) because we don’t have to wait to watch them, and b) because said friend is now also hooked, so will download them as they appear overseas. When we watch, you sometimes hold onto the table and dance, which is too cute (It seems you skipped Dad and my rogue dancing genes, which is a good thing). 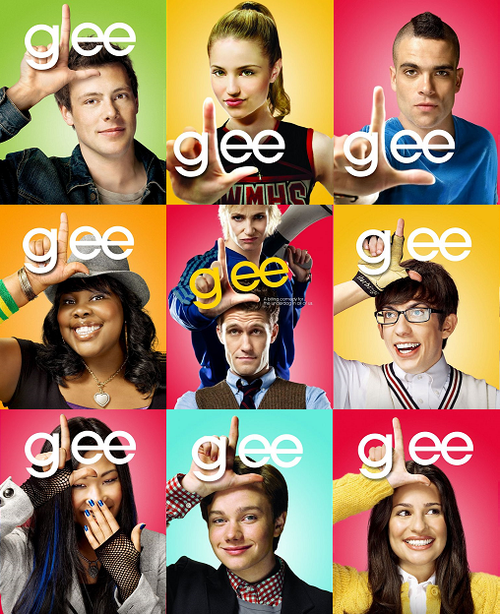 So I’ve been thinking which character out of Glee you might turn out to be like, or which character I’d like you to be like. There’s Will, the sensitive, patient teacher (who looks great without a shirt – I saw him in Vogue); Finn the cute quarterback, Kurt the gay with good style sense who I think would make a good BFF for anyone; Puck the rebellious football player with a mohawk (he’s also Jewish), and Artie, the uber cute moral guy in a wheelchair. So I was weighing up their pros and cons, and trying to imagine which Gleek you could be, when I realised that this exercise is as futile as me, well, dancing. You are you, and whether you turn out to have a mohawk, or like fashion more than sport, or battle to make a move on the pretty girl, it’s okay. I cannot imagine than anything will change my love and utter devotion to you. All I want is for you to be kind and good, and to be content. Oh, and I’d also like to be at the top of your pecking order forever. And just one more thing, it would really help if you could catch or kick a ball at school. Even if you choose not to do them, it’s pretty kak being picked last for everything, and for begging your mom to write sick notes for cross country and galas. I know this firsthand, but hey, I have run a few Comrades (eight boy, eight) so perhaps it doesn’t matter.